Australian and British neurobiologist Professor Geoffrey Burnstock has been awarded the Australian Academy of Science’s Macfarlane Burnet Medal in recognition of his outstanding scientific research in the biological sciences. 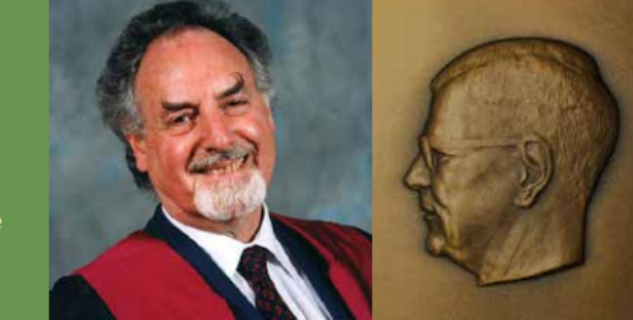 Professor Burnstock, who was elected as a Fellow of the Academy 1971, is internationally recognised for the discovery of purinergic neurotransmission (i.e. ATP as an extracellular signalling molecule), a novel signalling system between cells that is of central importance for many biological processes. His 1972 discovery, and later 1976 commentary in Neuroscience on cotransmission, challenged established concepts of the biology of cell messengers and neurotransmission. The 88 year-old is returning to Australia later this year to continue his scientific investigations after a 42-year career at University College London. Between 1959 and 1975, Professor Burnstock also worked at the University of Melbourne. “It is a particular pleasure on my return to live in Melbourne to have been honoured in this way,” Professor Burnstock said. For further details see the Australian Academy of Science website. See YouTube for an interview with Professor Burnstock.